Bio: Ann Bradfield has performed as a soloist across the United States, Canada, England, and Austraila. Her solo CD, Variations, is available on Mark Records. She has been featured in performance at the World Saxophone Congress, North American Saxophone Alliance Biennial Convention, and North Americal Saxophone Alliance Region 2, 3, and 4 Conventions. Ms. Bradfield completed her doctorate in saxophone performance at the University of North Texas, and her dissertation An Annotated Bibliography of Selected Music for Saxophone by Charles Ruggiero with an Analysis of Interplay for Soprano Saxophone and Piano has since been published. 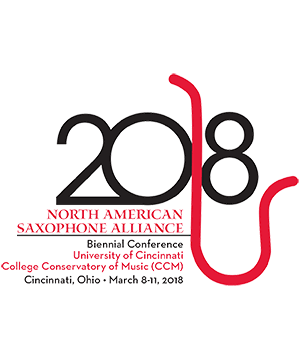 Ms. Bradfield is currently Assistant Professor of Saxophone at the University of Northern Iowa, and has served on the faculty of Eastern New Mexico University, Cameron University, Oklahoma State University, and Oklahoma Christian University. Kimberly Gelbwasser Lazzeri Soprano Kimberly Gelbwasser Lazzeri is Assistant Professor of Voice and Vocal Area Coordinator at Northern K . . .